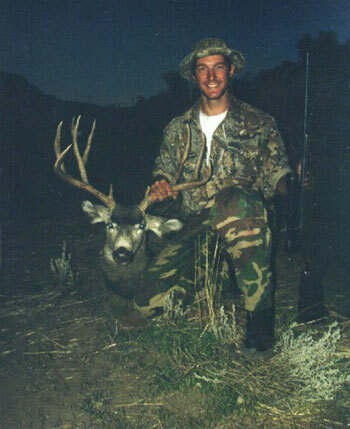 It was on October 6, 1998 when Scott Miller of Corning, California took this beautiful 5x5 mulie buck in California's zone X5-b. The buck's rack had a spread of 24 inches. 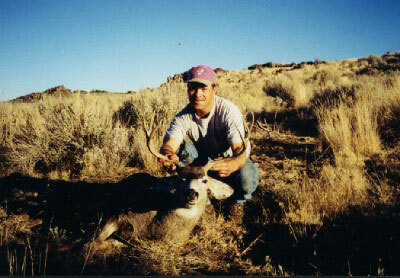 The 1999 deer season in the California X5-b Zone gave Kurt Steindorf his opportunity to take this nice mule deer buck.